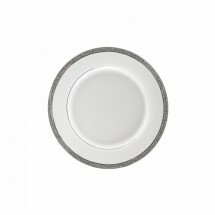 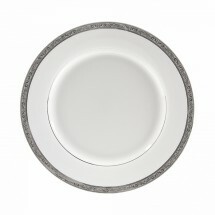 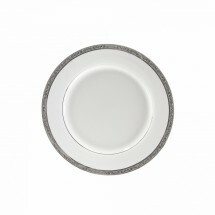 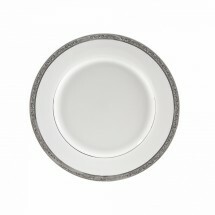 For formal restaurant dinnerware, choose the Paradise Platinum dinnerware collection from Ten Strawberry Street. 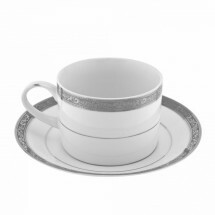 This exquisitely designed collection features a 5 mm Victorian platinum filigree pattern along the rims that shows your guests you pay attention to every detail. 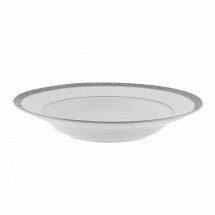 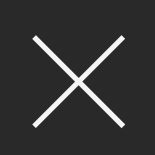 Highlight your most popular menu items on the charger plates, dinner plates and bowls at wedding receptions, banquets, first class hotels and restaurants, and enjoy the praise.